Did you know that painful issues such as tooth decay and cavities can actually be avoided? You’ve probably been told to stay away from sugar, however preventative dentistry is also your first line of defense against dental issues. This is why we recommend that you visit us for cleaning and checkup appointments every six months, or twice per year. Dr. Robert Sikes, your premiere dentist in Cookville, discusses the importance of preventative dentistry. What Happens at My Cleaning Appointment? Your dental hygienist does a few very important things during your cleaning appointment. Besides removing the excess plaque buildup that causes issues like tooth decay, they will also measure your gums for recession and signs of gum disease. You’ll typically have x-rays taken at least once per year, which help Dr. Sikes to detect tooth decay in its earliest stages. Detecting issues such as oral cancer, gum disease, and tooth decay early on ensure that you’ll have the best chance for recovery with the least invasive procedures. Chronic bad breath that won’t go away. The good news is that gingivitis can typically be treated with a thorough professional cleaning and improved home care. Periodontitis is the advanced stage of gum disease, and this is where the damage starts to occur. By this stage, infection from bacteria, plaque, and tartar buildup has begun to destroy your gums and bone. With these support systems gone, you’re now at risk for tooth loss. This stage of gum disease requires a deeper cleaning to reach below the gum line, antibiotic therapy in some cases, and sometimes surgery. We now understand that your periodontal health is linked with your overall health. This means that when you have gum disease, the bacteria below your gum line can enter your bloodstream and travel to other areas of the body where is contributes to issues such as diabetes, cardiovascular disease, high blood pressure, and stroke. Maintaining optimum oral health is critical for maintaining your overall health and well being. 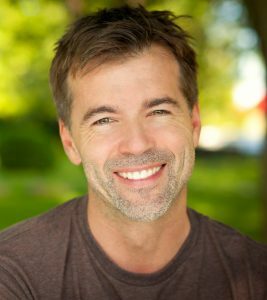 Dr. Sikes and his trusted team are well equipped to help you through any stage of gum disease you may be experiencing. The earlier we detect it, the better your chances are of successfully controlling it. Preventative care is critical, and we encourage you to call us today to schedule your next appointment.